Construction Insure are a construction insurance specialist who know how to advise and place insurances such as Latent Defects. Our knowledge with Latent defects insurance and the insurers we use, will ensure a rapid turn around so you can get on with your new build. Whatever your latent defects insurance requirements, please get in touch today for a free no obligation quotation. What do you do when, after a build is completed, perhaps as long as twelve years later, your client makes a claim against you for structural damage? Believe it or not, this can happen. If a fault becomes apparent, either soon after the construction is signed off, or up to twelve years later, the developer can be held liable for what are known as ‘latent defects’. The problem could be a result of a design error, poor construction or sub-standard materials. The good news is that, at Construction Insure, we can help protect you, legally and financially, from this type of litigation with Latent Defects Insurance. The benefits of a Latent Defects policy will cover you for the costs incurred where defects to the property have to be rectified. This could be: damage to walls or floors; flooding; bracing the building against collapse; and even the costs of removals, storage and subsequently restoring property. The policy will also cover you for any professional fees incurred. Additionally, you’re protected if non-structural components fail, such as a boiler, pipework, electrical wiring and even kitchen units. A Latent Defects policy helps you in other ways too. For instance, most mortgage lenders actually require Latent Defects Insurance to be in place for buildings under ten years old. So, without one, you’d be unable to sell the property, without incurring legal fees. Latent Defects cover is very much the less time-consuming and less expensive option. Another example of how this policy can help you is where you intend to rent your building long-term. If you need to refinance in order to do this, you would need a Latent Defects policy in place. If, however, you’re intending to live in your property, the policy will mean you can avoid paying the Community Infrastructure Levy (CIL). It’s a tax that stipulates if an additional floor area of 100 square meters or more is created in a new development or home, you’re liable to pay CIL on that space. Although the levy varies depending on factors like usage and location, it’s calculated by square meter, so it could easily amount to £50,000. Paying a policy premium of substantially less than that makes much better financial sense. How else does Latent Defects Insurance help you? Construction projects are, by nature, complicated. Whatever type of development you’re undertaking, the process is complex and detail orientated. 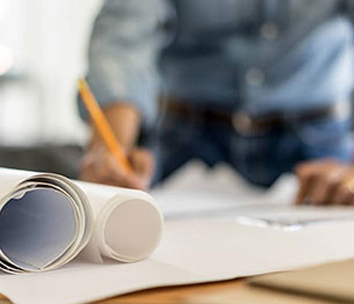 From blueprints to planning permission; from specifying and purchasing materials; to the logistics of coordinating plumbers, electricians, carpenters, plasterers and myriad other trades, you have to make sure everything happens right and right on time. And, of course, on budget. Even if at the end of that build your client is happy, you have to protect yourself against subsequent issues developing. If problems arise, your happy client can quickly become a litigious one, holding you liable for punitive costs and major repairs. Without a Latent Defects Insurance policy, that could threaten your livelihood and your reputation. At Construction Insure, we’ve been brokering for property developers and contractors for forty years. So, we’ll get you the short-term and long-term protection you need. We’ve been looking after property developers for a long time. We not only know the insurance you need, but we know the right insurers to go to for you. We’re a specialist construction industry insurance broker, so we’ll get you the best cover, with no hidden surprises like escrows or retrospective charges. We have access to insurers who can provide a full risk transfer from day one and do not tie in the developer. Where the developer is required to have a liability period, our maximum period is two years. Unlike the NHBC who stipulate three years. And, to reduce the possibility of a claim against you, our insurers will commission independent engineers, architects and surveyors to assess your build. This will highlight, early on, any issues before they become big problems. 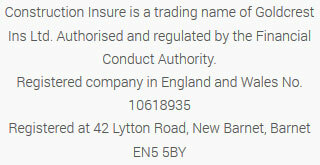 Unlike the NHBC, who require that a build is constructed, literally, ‘by the book’ or they won’t honour a claim, our insurers only stipulate that the build is to British standards. Who needs a Latent Defects policy? Although it’s usually the developer who obtains Latent Defects cover, the policy also provides cover for the eventual purchaser of the property. The developer initially purchases the policy to bridge a liability period before the insurance company assumes the risk. At Construction Insure, we only require a two-year liability period, which is one year less than the NHBC). It’s because of this liability period that we advise developers to have their JCT running for those two years. If the JCT is only in place until the build is complete, they may find themselves having to foot the considerable bill themselves for any remedial work. A Latent Defects is also necessary if the developer intends to occupy the property themselves, as regular building insurance won’t cover latent defects for the first ten years after the build is complete. Even if you believe you’ve managed the development with the minimum of problems, there are always areas of a build outside your control, or subject to human error. Trades can make mistakes and materials can have defects that go unnoticed. You won’t know where errors have been made until problems arise. Insurance will cover you for things like: load-bearing foundations and footings; load-bearing beams, girder and lintels; roof joists and trusses; roof covering and chimneys; floor decking and screeds. And you’ll also be covered for material failures leading to flooding. Your policy can also be extended to safeguard against mechanical and electrical failures in systems like air-conditioning and heating. What types of Latent Defect Insurance are there? Our New Home Warranty is specifically for residential contractors who are constructing, or converting, private residential homes to sell. Cover is available for mixed-use developments and can contain protection for developer insolvency and obtaining alternative accommodation. With our Social Housing Warranty, Housing Associations are covered for up to twelve years on new build developments as well as conversions. Cover is also available for loss of rent. With an additional right-to acquire cover extension, insurance can be extended to 15 years warranty cover with no additional charge. Our Completed Housing scheme provides cover for properties which have been built without obtaining a Latent Defect policy. Our insurers can cover the property up to a balance of ten years. For example, if your property is two years old, they will insure you for the outstanding eight years. Simple Completion is essential for any company, or individual, who is selling completed, or partially completed homes, that they’ve bought through developer insolvency. Simple Completion provides new site owners with the cover to meet the criteria of mortgage lenders, which allows them to sell their properties on the private market. Self-Build Warranties are for individuals building their own properties. Builders who are working on Self-Build developments are able to apply for this cover on their client’s behalf. Unlike Architect’s Certificates, latent defects policies provide cover in the event of damage caused by a defect in your property. In order to obtain a self-build warranty, you are required be intending to live in the property for at least one year following completion. If you are going to live in the property for less than this, then a New Home Warranty is appropriate insurance. Private Rental warranties provide cover required by funders and institutional investors in purpose-built private rental properties. These investments are required to be built to the correct standards and properly insured in case structural defects occur. If structural problems occur, large fees can be incurred from the repair and maintenance costs, as well as the loss of rent. This warranty will cover failures in design, workmanship and materials for up to twelve years after completion. Even if the builder fails to rectify defects in the first year we have insurers who will cover this, protecting your investments right from the start.